The new standard of care in rehabilitation, the AlterG® Anti-Gravity Treadmill® gives you the opportunity to exercise without pain, even while still recovering from surgery or injury. Chosen by the world’s best teams and athletes! 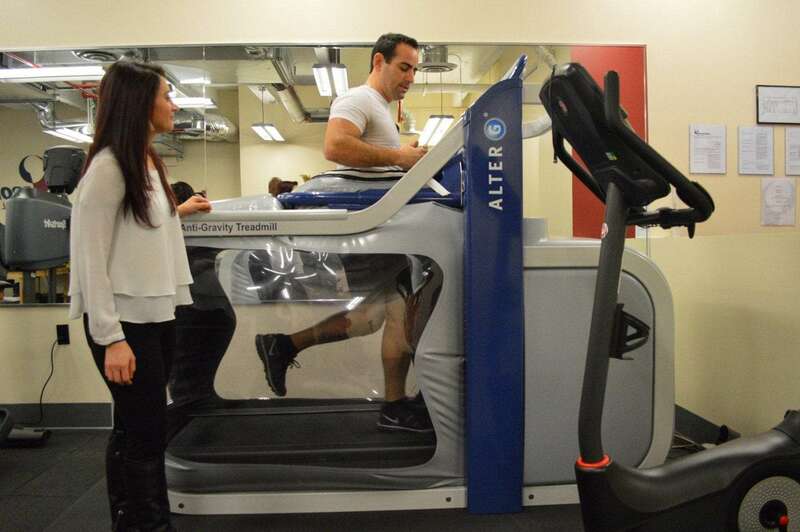 The AlterG® Anti-Gravity Treadmill® has been utilized by elite runners, Olympic athletes, and professional sports teams including the Los Angeles Lakers, Chicago Bears, Boston Red Sox, and Manchester United.